We appreciate the importance of doing what you say you will and providing a reliable service to all of our clients. As we provide the entire spectrum of waste management and ready mix concrete supply, we are able to put these two together and become a one-stop solution for Building Contractors and Utility Companies.We charge for Concrete Pump Hire Kensington in four hour intervals. This gives us enough time to set up to serve the projects requirements and allows for multiple pours. We can generally offer service the same or next day. We operate 24 hours per day, 7 days a week. 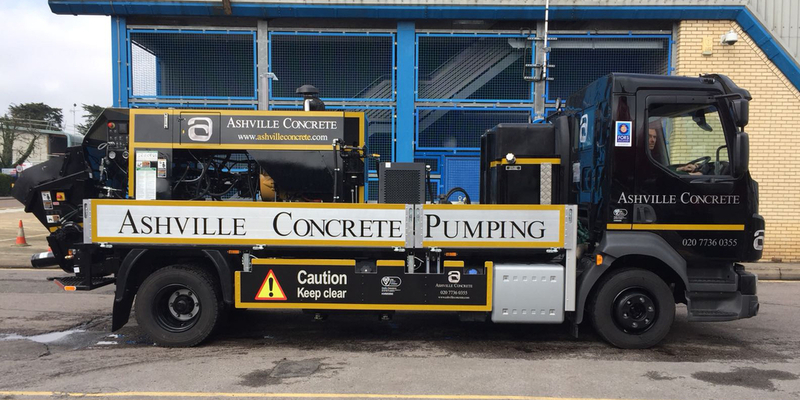 We offer Concrete Pump Hire Kensington, however, on request provide just the Pumping services. When booking you will need to ensure you have adequate access for the vehicle. This is generally around 4 parking spaces. We set up all the pipework ourselves in preparation for the Ready Mix Concrete Lorry which generally arrives about an hour afterwards. All of Ashville’s staff are aware of the quality of our aggregates and how the materials were sourced, but as part of our British Standards obligations we will always monitor these materials and ensure that the materials are of a high quality. As well as this we recalibrate our Volumetric mixer trucks every three months to ensure quality is maintained.